The degree to which young Runcorn people are locked out of the Runcorn housing market has been revealed in new statistics. A Runcorn landlord was asking me the other week to what effect homeownership rates in Runcorn in the early to middle aged adult age range had affected the demand for rental property in Runcorn since the Millennium. I knew anecdotally that it affected the Runcorn rental market, but I wanted some cold hard numbers to back it up. As you know, I like a challenge when it comes to the stats.. so this is what I found out for the landlord, and I’d like to share them with you as well. 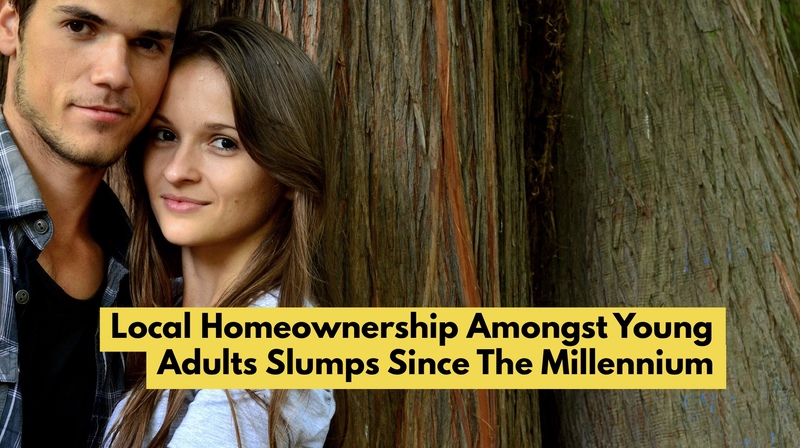 As anyone in Runcorn, and most would say those born more recently, are drastically less likely to own their own home at a given age than those born a decade earlier, let’s roll the clock back to the Millennium and compare the figures from then to today. 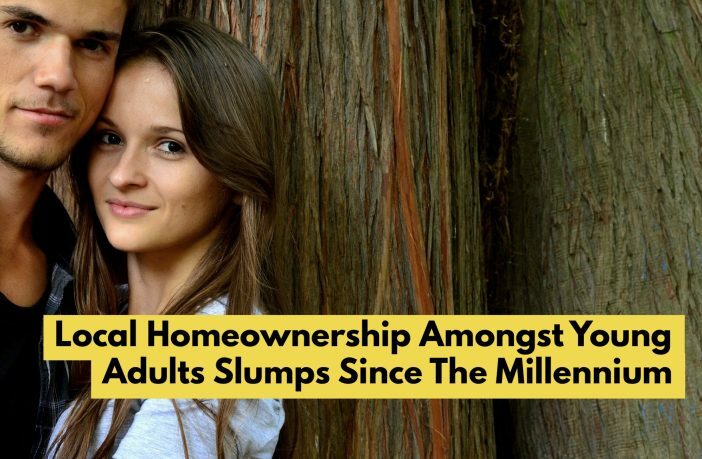 In the year 2000, 48.4% of Runcorn 28-year olds (born in 1972) owned their own home, whilst a 28 year old today born in 1990) would have a 25.8% chance of owning their own home. Next, let’s look at someone born ten years before that. So, going back to the Millennium, a 38 year Runcorn person (therefore born in 1962) would have a 71.5% chance of owning his or her own home and a 38 year today in Runcorn (born in 1980) would only have a 55.7% chance of owning their own home. If you look at the graph below, split into the four age ranges of 25 year olds (yo) to 29yo, 30yo to 34yo, 35yo to 39yo and finally 40yo to 44 yo, you will quite clearly see the changes since the Millennium in Runcorn. 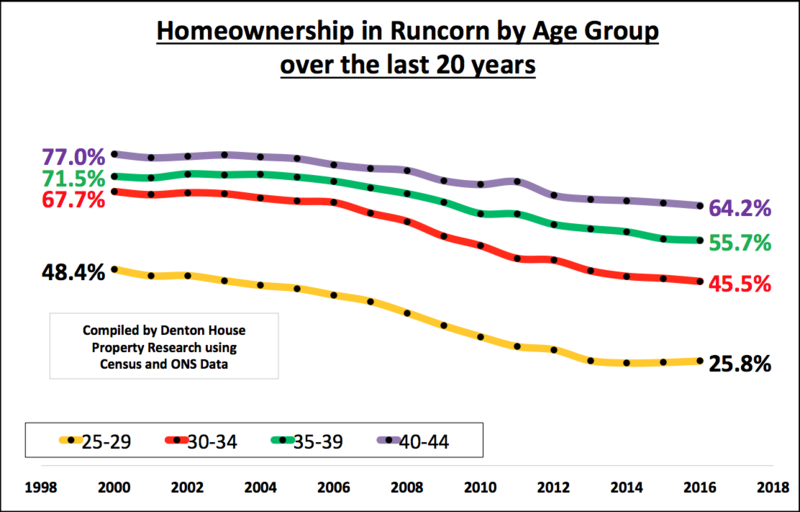 The fact is the figures in Runcorn show the homeownership rate has proportionally fallen the most for the youngest (25yo to 29yo) age range compared to the other age ranges. The landlord suggested this deterioration in homeownership in Runcorn across the age groups could be down to the fact that more of those born in the 1980’s and 1990’s (over those born in the 60’s and 70’) are going to University and hence entering the job market at an older age or those young adults are living with their parents longer. So, what does this mean for the rental market in Runcorn? Only one thing .. with the local authority not building Council houses, Housing Associations strapped for cash to build new properties and the younger generation not buying, there is only one way these youngsters can obtain a roof over their head and have a home of their own .. through the private landlord sector. 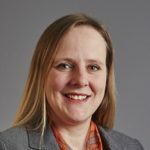 Now with the new tax rules and up and coming licensing rules, Runcorn landlords will have to work smarter to ensure they make the investment returns they have in the past. If you ever want to pick my brains on the future direction of the Runcorn rental market .. drop me line or pop in next time you are passing my office.